To much controversy, Britain’s new prime minister, Theresa May, last month insisted on a fresh review of the building of two new nuclear reactors in the west of England. One of her main reasons: fears about the vulnerability of these two reactors, and indeed of wider parts of UK infrastructure, to Chinese cyber-attacks. 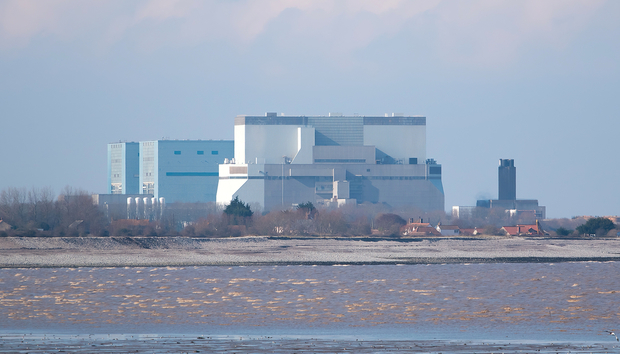 The two power stations at Hinkley Point C, Somerset, will be part-financed by two Chinese nuclear firms – China General Nuclear Power Corporation and China National Nuclear Corporation. Since their involvement is only financial, there seem few tricks that state-funded Chinese hackers piggybacking on them could get up to. However these two Chinese firms, partnering over Hinkley with France’s power giant EDF, are also set directly to construct a Chinese-designed reactor in Bradwell, Essex. We have here, then, a seminal example of the security of the Internet of Things. The Things will be nuclear and – in Hinkley’s case – responsible for no less than seven per cent of Britain’s electricity. More momentously still, the Things will be built and operated through inward Foreign Direct Investment (FDI) – something that, given the New Protectionism afflicting the world economy today, has made the robustness of major IoT installations become a key aspect of any nation’s economic and even military security. What do I mean by the New Protectionism? It isn’t just about the economics of trade, or the tariff structures that emerge after Britain finally quits the EU. No, the New Protectionism adds, to familiar cross-border tussles over intellectual property, much larger disputes on the geopolitics of FDI – in a way that makes the alarm that broke out in the US when Toyota and Sony set up there in the 1980s look tiny by comparison. Trade and FDI are no longer just about import prices, import numbers, or even jobs. They are also about ‘culture wars’, with national security very definitely included in those wars. Since the emergence of ‘mad cow’ disease in the late 1980s, cultural differences over food, human health and animal health have made trade in those sectors fraught. America resents Europe over the environment (BP Deepwater Horizon, the Volkswagen scandal), and the feeling is mutual. Or take different conceptions of privacy: concerns look set to dog the recently signed Privacy Shield arrangements for sharing data between the EU and US. The Very Old Protectionism of imperialists such as Joseph Chamberlain – an inspiration whom May explicitly acknowledged in her campaign to become prime minister – was simple. In the 1900s, 1920s and 1930s, it encouraged free trade within the British Empire, but favoured tariffs on goods imported from America and Germany, countries which themselves imposed tariffs. During the relative stability of the Cold War, many saw these ‘beggar-thy-neighbour’ policies of trade war as wrong. As production grew worldwide, trade in food and materials prospered, tariff barriers went down, and protectionism came off the agenda. However, when the post-war boom seriously stumbled, in the early 1970s, tariffs on imports spread. So did import quotas. This Old Protectionism differed from the Very Old. Of competitors, it demanded not so much that they stop exporting, but rather that they themselves open up more to exports. Yet it was not too long before the Old Protectionism had to evolve. As, during the 1980s, Japan placed ‘transplant’ car factories – Toyota, Nissan – on US (and also British) soil, fresh frictions over FDI began to reinforce longstanding ones over trade. The demand emerged that inward investors stopped building simple ‘screwdriver’ assembly plants with components shipped in from abroad, and instead ensure that the majority of any finished product was composed of ‘local content’. That’s now the rule with Japanese cars made in the US. Between 1986 and 2000 the brakes came off world trade. Prompted, in part, by the debt-backed growth of Asia, each one per cent added to world real GDP brought a 2.2 per cent increase in world trade volumes – nearly double the rate achieved in the preceding and succeeding 15 years. However, from 2001 on, and especially since the Crash of 2008, the New Protectionism has exploded. China’s 2001 joining the World Trade Organization, like the entrenchment of long-distance supply chains globally, has proved little counter to stalling trade talks and low demand for trade-intensive investment goods. Meanwhile, Regional Trade Agreements – bilateral tie-ups that discriminate against third parties, and that lie outside the multilateral trade liberalisation framework of the Cold War era – have mushroomed. So have subsidies and tax breaks for domestic industries. So, too, have US demands for China and Japan to stop devaluing their currencies so as to make their goods more competitive. The New Protectionism (SEE BOX) is not just fresh anti-trust cases brought by the EU against Google and Microsoft. It is about the ethics of Facebook in India, and of Uber everywhere. Moreover, as Phil Muncaster has shown in an excellent report, China too wants to insist that inward FDI firms in the insurance business store all their data only in China, and use only Chinese hardware and software. It’s true that America has had its Committee on Foreign Investment in the United States (CFIUS) since 1975. However, only since a scare about Huawei and ZTE in 2012 has the American establishment really got nervous about Chinese FDI and cybersecurity. Now Theresa May has followed US practice. With China’s Hualong 1 reactor at Bradwell, May appears to fear that state-sponsored hackers in China could use IT to exercise a very dangerous kind of remote control. It’s all rather overdone, actually. There’s a lot of money involved in nuclear reactors, but parliament’s intelligence and security committee has given Huawei a clean bill of health, and Britain’s Government Communications Headquarters (GCHQ) sought special access to China’s two nuclear behemoths as early as last October. Many of the control systems in nuclear reactors will be well known to the Chinese already, for they are also used in the energy and transport sectors. As, thankfully, with nuclear weapons since Nagasaki, and in the significant dispute between China and America’s ally, the Philippines, over the Scarborough Shoal and the Spratly Islands in the South China Sea, a lot of the fuss about Chinese cybersecurity in Britain is more about fear and posturing than it is about genuine threats. The problem, however, is that a largely symbolic hostile stance toward China over cybersecurity has already caused consternation at Toshiba and Hitachi – Japanese inward investors into the UK nuclear sector, and no mean players in IT, either. In fact, because Britain’s porosity to inward FDI exceeds even that of China, and because FDI makes the world go round, what began as a British worry over Chinese cybersecurity in nuclear can now break out in pretty much any country and in pretty much any sector. Already, in an 11 July speech, Theresa May attacked America’s Kraft for taking over Cadbury in chocolate and America’s Pfizer for trying to take over AstraZeneca in pharmaceuticals. She also promised more moves against tax evasion; we can be certain that American IT companies will come under review. All this, from a prime minister who approves of US foreign policy. All this, before Donald Trump or Hilary Clinton comes to power; notably, each wants to force through a new round of protectionism. The paradoxes are worth watching, and, worldwide, we are about to see a lot more of them.